Here at PRF, we’ve been actively promoting solar energy for a long time, and we’ve been watching as it becomes increasingly efficient and cost-effective. And now, we’re excited to say, solar energy has reached the point where almost any business can benefit from installing solar. 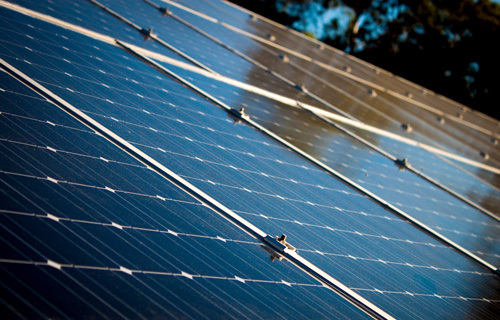 Here’s a quick way to work out if solar power could work for your business. Do you have plenty of roof space? Would you like to make up to 20% savings or more on energy costs over the long term? If you answered yes to these questions, we can help you go solar for much less than you probably think. At the very least, you won’t pay any more for electricity than you do now. We’ve been helping a lot of businesses change to solar without any up front costs. How? We work with Energy Lease, and they can fund any commercial solar installation up to $150,000 without even going through the hassle of interrogating your financials. You simply sign a lease, and Energy Lease and PRF do the rest. You may not need a switchboard upgrade to get more power! And you could save money from day one. Energy Lease can also help if you want to purchase rather than lease, including arranging finance. Getting the most out of solar. Solar energy has become much more affordable, efficient and reliable in recent years. And technology is continually finding ways to help customers generate even more savings from solar. Before we start, the solar experts at PRF will analyse your day and night loads to ascertain what sort of system you’ll need, and how best to deploy it. Once it’s installed, a handy solar analytics app will help you monitor your system’s energy production and efficiency. You can easily adjust your daily usage to match your energy production, maximising savings. The vast majority of businesses we help change to solar power save money. And even if the change to solar just covers your existing electricity bills, with energy costs rising, the investment is sure to pay off in the future. If you want to talk more about how solar can help your business, contact us and we’d be happy to provide a no obligation appraisal.